The Drum Chord Theory este albumul de debut al lui Matt Martians și a fost lansat în data de 27 ianuarie 2017, prin Three Quarter. 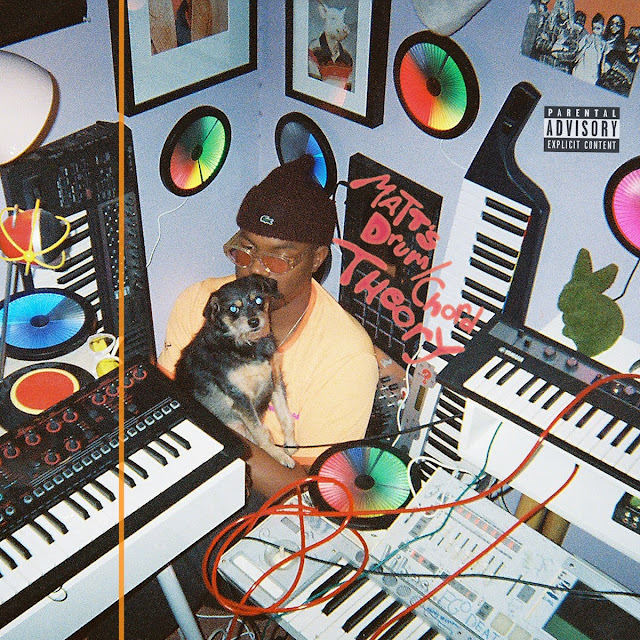 As expected, The Internet’s Matt Martians decides to come through today and share his anticipated debut solo album called The Drum Chord Theory. Laced with 12 tracks in total, the debut album features guest appearance from fellow Internet band members Syd & Steve Lacy, while Tyler The Creator, Kari faux, and more contribute to it as well. Lead by the previously heard single “Dent Jusay” & "Diamond In Da Ruff," fans can now stream the album in its entirety for free thanks to The Internet's soundcloud page. "I've always wanted to make this album," Martians says. "I got the sounds from it years ago when I started taking acid—just taking myself through the journey of being one with myself and being able to sit down and make an album because making an album is very hard. It takes a lot of things out of you emotionally." Be sure to show your support on iTunes if you’re feeling it.